Home » 5 Freshest » barkTHINS: These Look Good and Healthy. Are They? But really? Are they healthy? 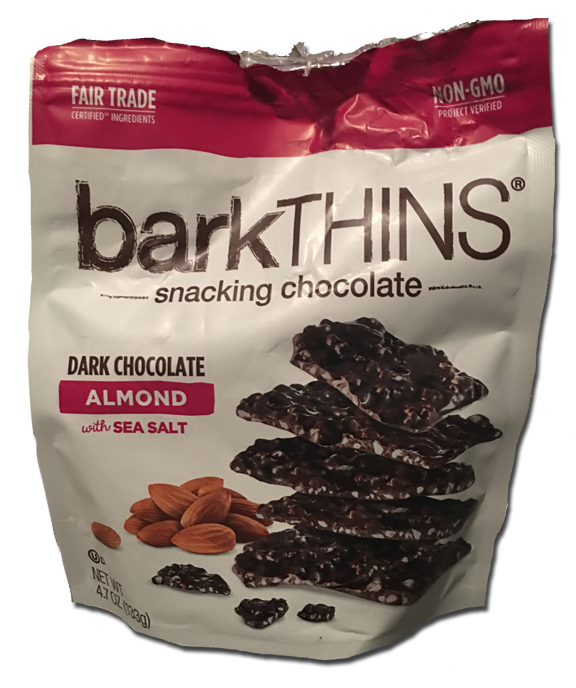 The barkTHINS are filled with Fair Trade ingredients and they are “non-GMO Project Verified.” Fair Trade means fair prices were paid for ingredients from developing countries, and non-GMO certified means they weren’t made with genetically modified organisms. Super! I guess. The real question is calories-meet-fat-and-sugar vs. other candy bars. Let’s compare to a Snickers, yes? And let’s take a fun size, since it’s close to Halloween and that’s closest to a few pieces of barkTHINS. 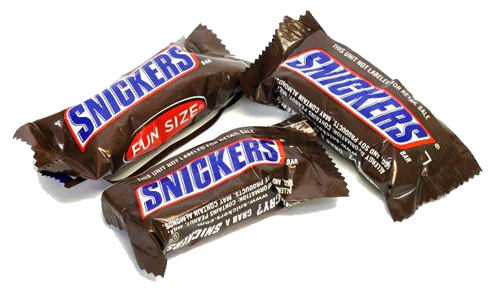 A Snickers fun size bar (.6 oz): 74 calories, 3.58 grams of fat and 7.6 grams of sugar. barkTHINS suggested serving size (1.4 oz): 220 calories, 13g of fat and 11g of sugar. So 2 Snickers fun sizes are less cals and fat, with a bit more sugar than barkTHINS. The key with barkTHINS? They’re good. The pieces are the perfect size. The chocolate tastes real, not too sweet and not too dark. Slightly chalky. 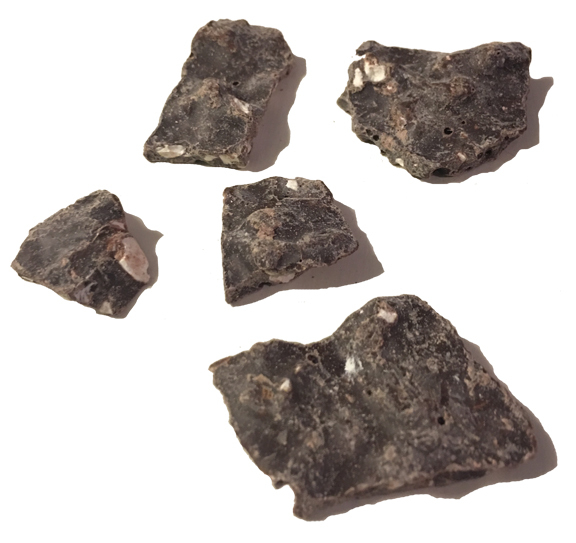 Sea salt always wins, and the almonds are money – nice and small pieces completely throughout each piece. Lotsa nuts. Great if you can eat nuts, terrible if you are allergic. In fact, the package warns us the candy contains soy and tree nuts, and may contain eggs, milk, peanuts and wheat. Be ware. I like how they call this “snacking” chocolate. Hey, go ahead and eat all you want! They taste good enough to do that. Just don’t get sucked into thinking these are some kind of good-for-you candy. I prefer “snack size” for bark thins, so I don’t over-do it. Much better than Snickers. The chocolate has gourmet/premium qualities. Delicious!